The trend towards ‘retro’ or ‘vintage’ designs has been growing since the mid-2000s. Using a classic style as their starting point, designers began adding their own modern twists, such as integrating new technology or a current visual concept. One of the first brands to achieve this successfully was Ford with their redesigned Mustang, which featured in the Transformers film. The transformation from iconic muscle car to modern coupe happened quite literally in front of our eyes, signalling the reinvention of this American classic. Importantly, the original design could still be clearly seen within the modern reinvention. The chassis still bulges with implied muscle, the headlights are nearly identical, and the grill looks just as ready to eat tarmac. While it’s not easy to achieve the perfect blend of classic and modern design, there are some useful principles of timeless design that can help inspire you when it comes to creating the right modern aesthetic for your product. 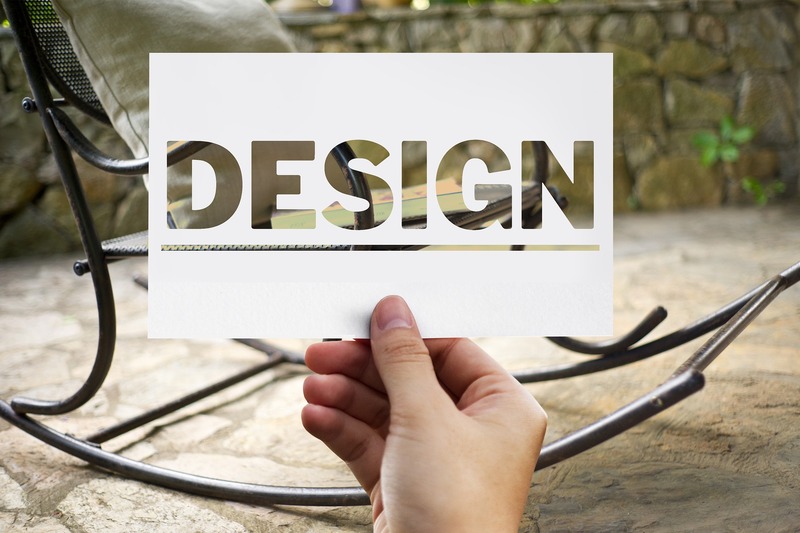 Here Mat Razier of Rayvolt highlights the essential principles you need to keep in mind when designing your products aesthetics. As the famous designer, Dieter Rams once said: “Less, but better.” This design philosophy helped Rams become an icon of 20th-century design in his own right. By including only elements with real purpose, you strip away the unnecessary clutter that can muddle a design, filling the product with simplicity and purpose. Original mp3 players featured lots of click buttons – on the side, the front, and integrated into the headphones themselves. Designers kept adding technology to a small form factor, creating ugly, overcomplicated products that frustrated as much as they entertained. Apple stripped back the iPod focusing on simplicity. The stroke of genius was the touch wheel. It provided infinite navigation with a single touch – not endless clicking of plastic buttons – making it easier and more enjoyable to find and play music. Include only what fulfils the brief, ditch anything extraneous. Timeless designs aren’t works of art or purely decorative objects, they don’t include trendy features or added frills. They are unobtrusive and leave room for the customer’s self-expression. The simple design isn’t simple. It’s a lot harder to pack features into a simple design than it is to add them to an existing and possibly already complicated product. You need to re-engineer the design from the ground up, turning your attention to the small details that provide functionality, yet maintain simplicity. The majority of your customers may not even notice these small details individually, but the overall effect these details create will be noticed. Take Henry Dreyfuss’ AT&T Model 500 phone, for example, which was launched in 1949. When connections became automatic (for example, without the need for an operator) phone designers realised they needed to allow for complex dialling patterns and, in 1929, the first AT&T rotary phone was born. Yet, previous iterations tended to be attached to the wall and some required a separate speaker and mouthpiece. They also had heavy handsets. Dreyfuss completely redesigned the rotary phone, adding in subtle features that transformed his design into an instant classic. The handset was plastic, creating ergonomic rounded edges and shedding a lot of weight. Letters were added below the numbers to make it easier to remember phone numbers. He even used early industrial psychology and consumer testing to find the ideal cord length. It was this attention to detail that transformed the humble Model 500 into a commercial success and assured its position as a timeless classic. Brand identity has always been important. Customers don’t just buy products, they buy personalities that chime with their own needs and sense of identity. From the psychology of colour to finding the perfect font, businesses can spend hundreds of thousands on defining their brand identity. Not only has Harley’s brand identity helped solidify their bikes as timeless American classics, they have also inspired entire subcultures. Timeless design, by definition, stands the test of time. It holds up to knocks and bumps, it can be patched up and fixed, and it looks beautiful even when old and rusty. It only takes one look in an auto trader magazine to find a classic 1960s Ford Mustang in good working order, and then compare its price and desirability to a ten-year-old Chrysler PT Cruiser. Using high-quality components and construction will increase cost, but it will also improve longevity. Customers are usually willing to part with a bit more cash to buy a product that will last over a product that rapidly deteriorates into an eyesore and needs constant trips to the repair centre. More on creating a product for your business and growing your business.